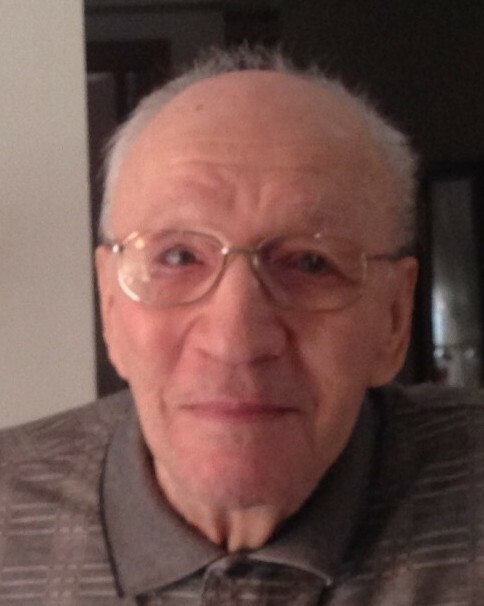 Roland O. Dumont, longtime resident of Plainville, 95, passed away peacefully on Saturday January 13, 2019 with his loving wife Beatrice by his side. He was born in Ste. Rose du Degelis in Quebec, Canada to Albert Dumont and Ivonne Roy on April 26, 1923 where he spent his early years with his parents and eleven brothers and sisters. After working many intensely physical jobs including lumberjacking, Roland moved to Connecticut in 1963 with his newly wedded wife Beatrice with the promise of a good job and to pursue a new life. He found both of those and worked at New Britain machine for 25 years to tirelessly provide for his family. Throughout those years he made sure he kept in touch with his roots through summer and Christmas family vacations back to Canada. Later in life he enjoyed many years of travel and wintering in Florida as he explored his newfound passion for golf. Roland was a quietly strong, humble and proud man who always put his family first. He was loved and will be missed by many. Roland was predeceased by his parents, his siblings Paul-Emile, Roger, Yvon, Rita, Georgette and Carmen. He is survived by his wife Beatrice of Farmington, his son Francis, daughter-in-law, Tania and grandson, Oliver of San Diego as well as his siblings, Jean, Laureat, Conrad, Lou and Rose Aimee. A Mass of Christian Burial in celebration of Roland’s life will be held on Friday at 10:00 a.m. directly at Our Lady of Mercy Church 94 Broad Street in Plainville. Burial will be held privately. There are no calling hours. In lieu of flowers, the family requests those that wish make donations to Our Lady of Mercy Church 19 South Canal Street Plainville, CT 06062. The Bailey Funeral Home 48 Broad Street in Plainville has care of arrangements.